Jenny Boully's essays are ripe with romance and sensual pleasures, drawing connections between the digression, reflection, imagination, and experience that characterizes falling in love as well as the life of a writer. Literary theory, philosophy, and linguistics rub up against memory, dreamscapes, and fancy, making the practice of writing a metaphor for the illusory nature of experience. 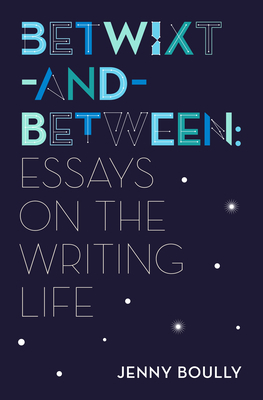 Betwixt and Between is, in many ways, simply a book about how to live. Jenny Boully is the author of The Body: An Essay, The Book of Beginnings and Endings: Essays, not merely because of the unknown that was stalking toward them, and other books. Born in Thailand, she grew up in Texas and holds a PhD in English from the Graduate Center of the City University of New York. She teaches creative writing and literature at Columbia College Chicago.